Montana’s game wardens are sworn peace officers who work with the state’s Department of Fish, Wildlife and Parks. These game wardens both enforce the law and manage Montana’s diverse and highly treasured natural resources. Montana boasts such natural attractions as Yellowstone and Glacier National Parks, the largest number of freshwater lakes in the West, and more elk, deer, and antelopes than people. Its diversity of natural treasures draws people from around the globe who watch wildlife, hunt, and fish. However, along with those who respectfully take part in Montana’s wilderness, the state also draws reprobates such as illegal harvesters and poachers. One of the primary duties of the state’s game wardens is to apprehend poachers and other people who break the law. The opportunity to serve as a law enforcement officer in Montana’s stunning wilderness draws a large number of highly qualified applicants, so competition for game warden positions in the state is fierce. Applicants can enhance their chances for success by learning as much as they can about the application and selection process and the qualifications required. Read on to learn more about the process of becoming a game warden in Montana. State and federal agencies monitor about 35% of Montana’s lands, which represents a large amount of territory overseen by game wardens. As sworn peace officers, game wardens in Montana are responsible for monitoring general crimes in addition to those against wildlife. In addition, many officers are deputized to the federal Fish and Wildlife Service and may also serve as county deputy sheriffs. The roles of Montana’s game wardens are not limited to law enforcement, however. These conservation professionals present information to conservation groups, collect data on wildlife and habitats, and help with search and rescue operations when needed. The combination of law enforcement and conservation knowledge requires men and women who can best serve the Department by having an extremely broad set of skills. Shown below are the minimum qualifications to apply for the role of game warden in the state of Montana. 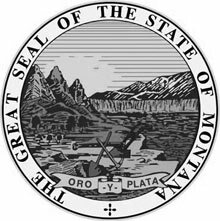 License: A valid Montana-issued driver’s license is required. Academic Credentials: Completion of high school or GED is required; the entry-level degree requirement is a bachelor’s degree from an accredited college/university in a field like fish & wildlife, park management, outdoor recreation or criminal justice. Interview: Candidates will have a panel interview with enforcement officers to evaluate knowledge, demeanor and ability to make ethical judgments. Graduates are assigned to field positions, usually at one of the Department of Fish, Wildlife and Parks regional offices, for a period of on-the-job training before being assigned as a district game warden. The training period is variable and specific to an individual’s professional development. All game wardens are on probation for one year. The Montana Department of Labor & Industry reported that game wardens with the state’s Fish, Wildlife & Parks Department earned an average salary of $42,620 ($20.49/hour) as of 2015. The median salary among Montana’s game wardens was slightly lower at $42,510 ($20.44/hour).